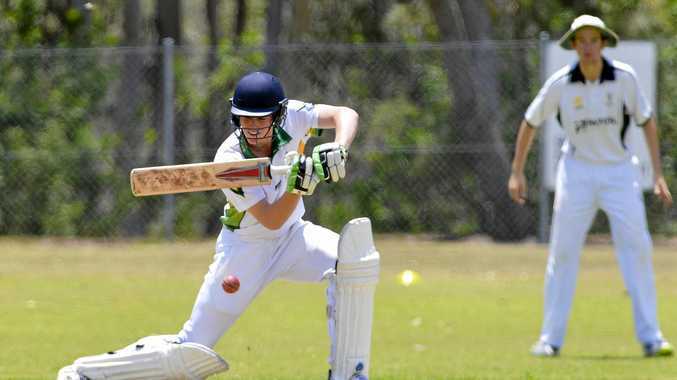 CRICKET: BITS A grade scored its first win for the season with a comprehensive 71-run victory over Brothers in the Frenchville Sports Club Capricorn Challenge on Saturday. BITS batted first to put on 229 with runs coming from Jacob Harvey (26) and Captain Terry Sawyer (25). Middle order batsmen Nathan Cobb got the score board ticking over with 56 runs including 10 fours and one monstrous six that easily cleared the boundary markers. Jason Batchelor said the win was a great team effort and a good start to the season. "Everyone fielded well and the batters and bowlers all did their job to set the win up," Batchelor said. "The back end of the tail went well and scored runs for us to keep the team in the game." BITS opener Harvey said a good depth of players made the difference with the win. "We can bat down the order which is good to get runs scored and our bowling attack has great variation," he said. Brothers were all out for 158 by the 35th over due to outstanding bowling from BITS. Ryan Finlay took 3 for 27 off eight overs and Cobb stepped up with the ball this time taking 2 for 20 of five overs. Brothers captain Luke Reid saw the game as one of missed opportunities by not finishing off the BITS lower order. "It was quite a tight game during the first innings but we let them get away from us in last 15 overs and we didn't wrap up the tail-enders," Reid said. "But this is an improvement for us and we are going to work on improving our season."